Made in waterproof green waxed material. Tear resistant material for walking through heavy foliage. 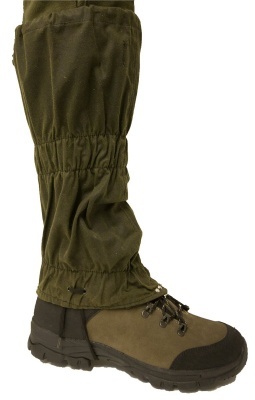 Full length zip, elasticated bottom and adjustable laced top all add to make these gaiters as easy to use and wear as possible.